Periferic was initiated in 1997 in Iasi by the Romanian artist Matei Bejenaru. Periferic was initiated in 1997 in Iasi by the Romanian artist Matei Bejenaru. Iasi is one of the major universitary cities in Romania, situated in the North East of the country, close to the border with the Republic of Moldova. art events. Periferic is organized by Vector Association, a non-profit cultural NGO, an artistic association which promotes contemporary art in the local context. Between December 2003 and October 2007, Vector Association has been running the Vector Gallery, an independent art space with an international exhibitional and educational programme. Since 2007, Vector Association is running the Studio for Debates and Art Practices in partnership with the Arts University of Iasi. The aim of Periferic was to collect different artistic attitudes related to the centre – periphery relationship, and also to create a series of theoretical discussions about the conditions for art production in different cultural contexts. In the last editions Periferic developed different educational programmes in the idea to get a better local visibility, as well as to promote regional artistic collaborations. Periferic also developed a local contemporary art scene. Since 2001, Periferic has been transformed into an international art biennial. 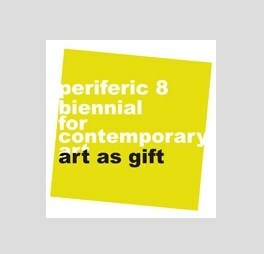 Concept of Periferic 8 – Art as Gift.